I bring to the attention of the readership a new book from Ignatius Press. It is clearly meant to hearken to the now-classic and still relevant Ratzinger Report published in 1985 (US HERE – UK HERE). Joseph Ratzinger was Prefect of the CDF then, as Card. Müller is Prefect has been for the last five years until 1 July 2017. Now Card. 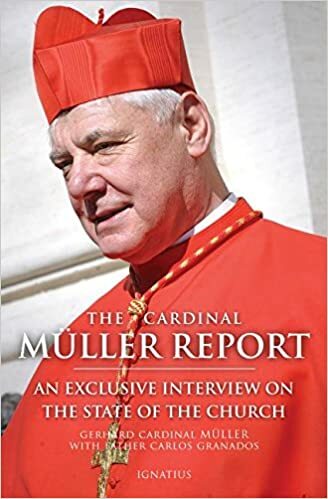 Müller, 69, is off the leash, in that Pope Francis didn’t assign him to another mandate. The word going around is that Müller declined another appointment, since anything after CDF would be a demotion. Can his book give us any clues as to what he will do in the future? Card. Burke hasn’t been invisible and quiet. What about Müller? This entry was posted in ¡Hagan lío!, The Campus Telephone Pole, The Coming Storm and tagged Gerhard Ludwig Müller. Bookmark the permalink.